If you want to get some pampering, you will most likely resort to massages. However, most of the times, you can’t because you’re either too busy or there’s too much traffic to drive to the massage parlour after you knock off from work. And even if you do squeeze in time for a massage post-work, by the time you get home, the revitalised feeling you get from your one-hour full or half-body relaxing massage has gone to waste because of the long drive back. Many spas in the Philippines offer home services but their in-house massage therapists often arrive late, and their services are often too costly. David Foote and Greg Kittelson faced this same problem when they wanted to get a massage in the country, so they decided to start up to solve this dilemma. 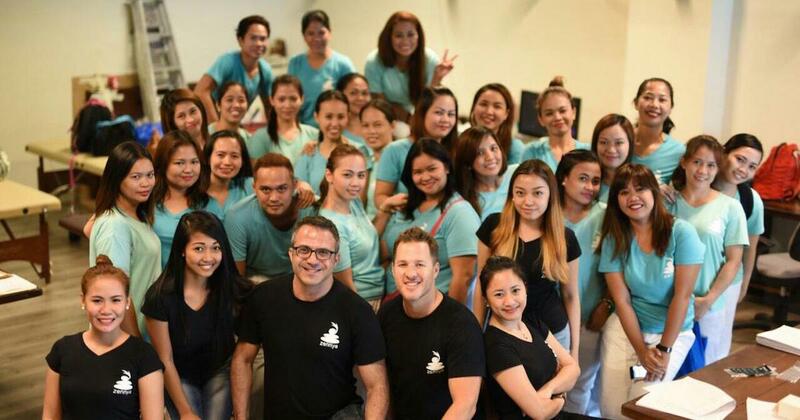 Together, they launched Zennya, an app-based company that offers quality, affordable, and premier spa services that send highly-trained therapists to your location in just 30 minutes. In an interview with Business Mirror, Foote, who has a lot of startups credited under his name, said that they chose the Philippines because the percentage of potential customers here is skyrocketing, and that most of the more than 20 million population in the country’s capital are social media-savvy. Zennya has been created to test and build the technology that is needed and required to provide spa services online. Foote and Kittelson have been living in the country for several years now, which is why they’re able to gauge the country’s marketplace and know that Zennya was much-needed by the huge labour workforce. They claimed that their company has the unique twist of simplicity because people could order a spa treatment through mobile phones just like how these same target customers use Uber, Lyft, and other app-based services. Foote also talked about how they were able to secure highly-trained therapists and how they get them to get to customers’ location in just 30 minutes. In a report by Tech In Asia, they found out that Zennya recruits their therapists through Facebook ads. Beyond creating employment opportunities, Zennya offers a substantial payout for their therapists as they get to keep 60 percent of the total cost of the service rendered. Zennya also screens their list of candidates in order to get the best people for the job. After an applicant passes the hiring stage, the company will provide relevant training for them so they can adequately meet the standards. One of the main requirements of Zennya therapists is that they should be licensed and accredited by the country’s health department or the Technical Education and Skills Development Authority (TESDA). Since these therapists will be visiting people’s accommodation, Zennya needs to ensure that they are reliable and won’t pose a safety risk to their customers. In line with that, it requires their therapists to submit relevant documents such as police clearance. 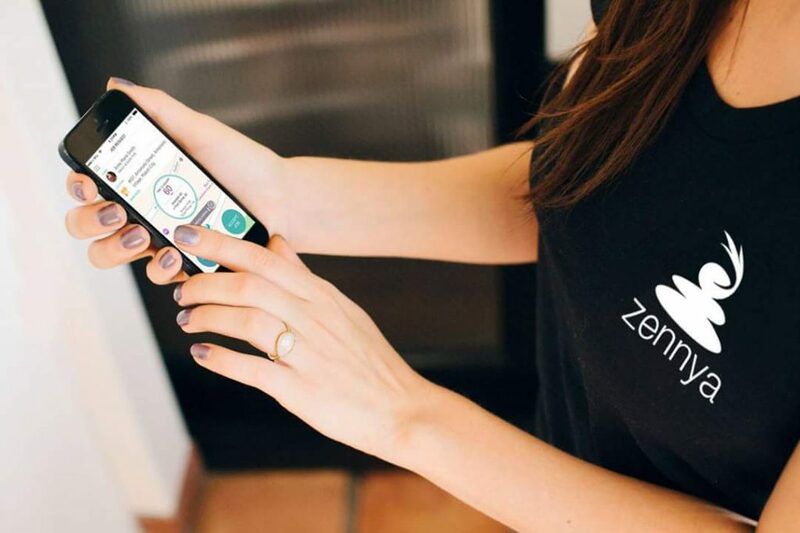 When asked how they get Zennya therapists to their location in 30 minutes or under, the founders explained that the company utilises geolocation technology, which helps identify the nearest massage therapist to the user. When putting in a request for these therapists, the customer also indicates the preferred gender of their therapist, and the type of massage they want. These preliminary questions help to narrow down their team of therapists and pick out the one that best suits the customer’s needs. Foote also mentioned that if a therapist receives a poor rating (two or three stars) post-service, they will have a one-on-one talk with the therapist to suss out the problem. Additionally, these therapists would have to undergo retraining. However, if three or more of their therapist of their massage therapists rate a client poorly, then this will indicate that the fault lies with the client instead. When that happens, Zennya protects their therapists by wiping the client out instead. Zennya is also unique because they have a personalisation option for clients. They can mark up to four of their favourite massage therapists so the next time they utilise Zennya, they can request for their favourite employee. Zennya is currently serving customers only in Metro Manila, but Foote assures they already have plans laid out to expand outside the capital and even outside the country. To date, Zennya has been downloaded 24,000 times and has over 2,200 customers.